Why do you hesitate calling Garage Door Repair Sunrise? Contact us for all your needs! Call us if you have questions! Email us if you want to report a problem! We're masters in garage door repair services and have the perfect infrastructure for immediate dispatch. Expect fast arrival! We solve emergency problems ! Call us if you want to know more about us! Let's get together to fix these overhead door issues which trouble you for so long. Is the door noisy? Do the tracks need adjustment? We are here for any service and are experienced installers. Are you planning garage door replacement any time soon? Rely on our teams! Our Garage Door Repair in Florida can help you choose new products and order them from top manufacturers. Let us make your life more convenient, easier and safer! Call us today and let's plan your future together! We have knowledge! We're a friendly team with great skills and an amazing reputation in Florida for our capacity to help people in zip code 33322 fast. 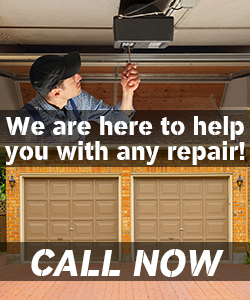 We're specialists in overhead garage door repair services, fix openers of all brands, and major in spring replacement.